Rotary milking parlours are now universally regarded as the dairy of choice worldwide for larger herds of 300 to 2,000 cows. 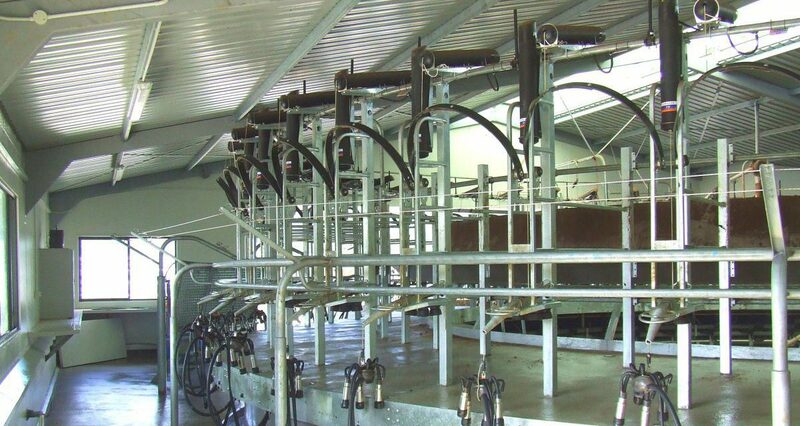 Rotary parlours can be as small as 20-bail units and right up to 80-bail units. Rotary milking is considered to be the most effective use of milker time and optimises the number of cows that can be milked by individual milkers. Rotary parlours easily integrate with most cow identification system. They are able to more effectively integrate with new technology such as RFID, than herringbone parlours. With many years of experience with rotary milking parlours under our belts, we can offer a wide range of designs that can be customised to suit your individual circumstances. Your rotary parlour can be as simple or as sophisticated as you want. If you’re after a more efficient rotary milking parlour, take advantage of our vast experience and contact Chapman Dairy™.